We have chosen our charity for 2018! Courageous Companions, a volunteer-driven non-profit group which provides trained service dogs to military service personnel, veterans and first responders diagnosed with an operational stress injury. 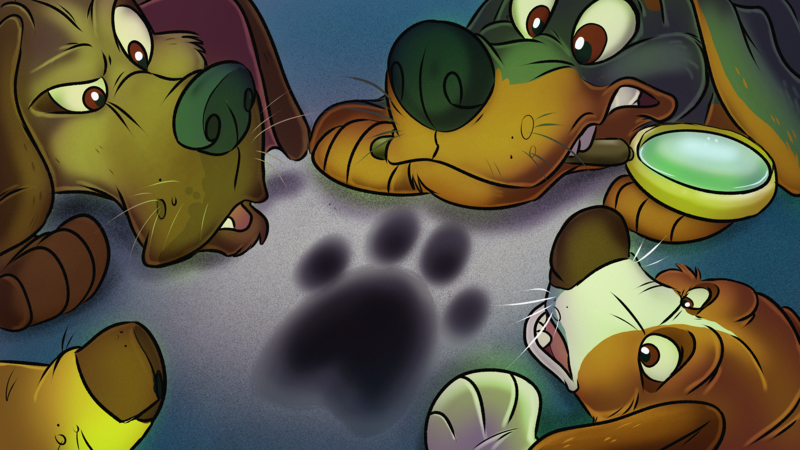 See more details on our charity, and more on CanFURence's Stronger Together initiative, on our Charity page. You can help by donating items to our fundraising activities and by bidding on items that have been donated. Early-Bird registration is over, but you can still pre-register until July 20th, 2018. And you'll still save over what you'll pay at the door! Benefactor registrations are only available in advance. If you have registered, and would like to know all about rooms at our new venue, click here. You'll still be able to pre-reg for CanFURence 2018 after Early Bird pre-registration ends at midnight March 21st (just couldn't let the excitement end, so we're extending it for a day! ), but it will cost you more! So, act soon and save your money! Check out all the details of the Registration levels here! Want to see all about our new venue for "The Furry Follies and Cabaret"? Here's the lowdown! Don't let Vernal Equinox pass you by without buying your registration! UPDATE! Early Bird registration extended until March 21st. Just couldn't stop the excitement!!! It's March 20th, and midnight today tomorrow marks the end of Early Bird pricing. Get your registration in now! You'll still be able to pre-register after tomorrow, but it will cost you more. Save your money - register now. Join us for the Furry Cabaret opening for a very limited engagement August 3rd through 5th, 2018 at our new home The Brookstreet Hotel in Ottawa. 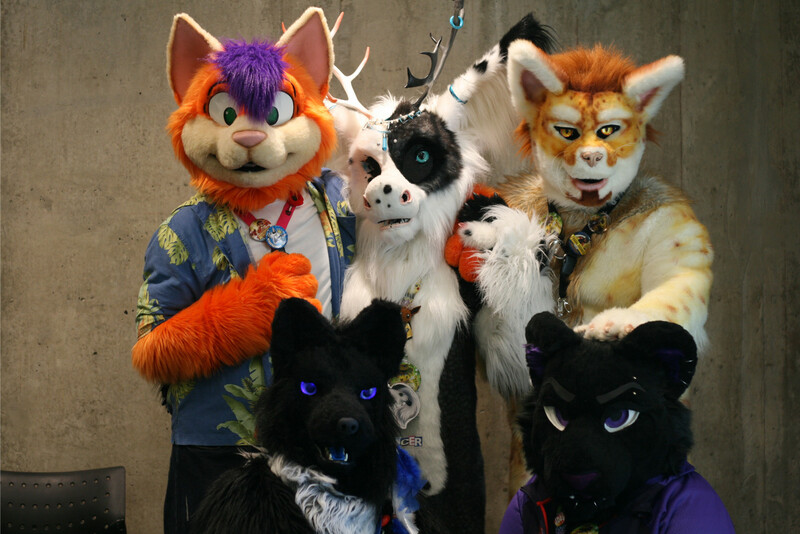 Get your Early Bird priced registrations for the Furry Follies from our booth in the Dealers Den! And even though we call it "Early Bird", you don't have to be feathered to take advantage of the disount. Fur, scales, or fins, you can get the discount too. And we accept additional forms of payment in person. You can also purchase useful and stylish CanFURence branded items from the swag collection. T-shirts, backpacks, canteens, bandannas, steins, lanyards and buttons! 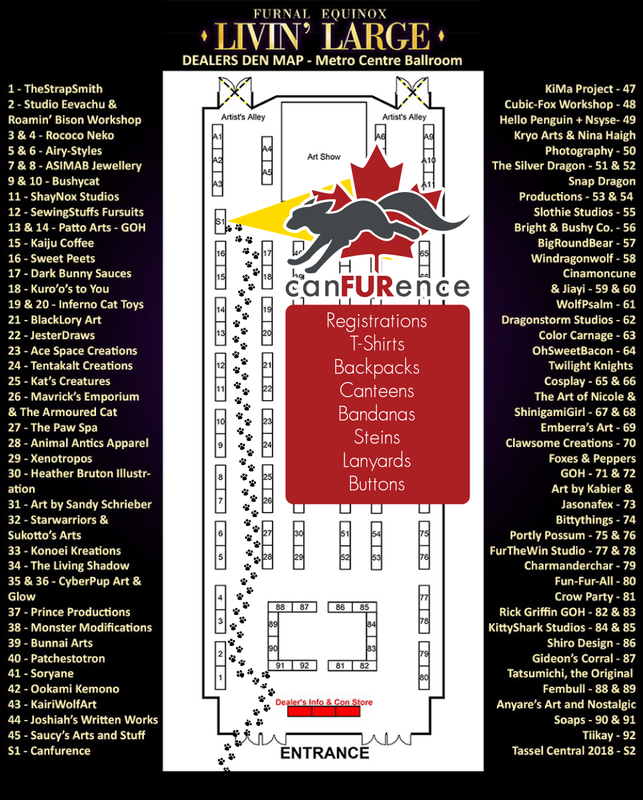 We're also happy if you just want to drop by and talk about CanFURence. It's almost our favourite topic of conversation - just roll up and we'll bend your ear. Want to share a room or a ride?